Yes, that's right. You did not read that wrong. Ben Affleck has just been announced to star alongside Henry Cavill as Batman in the "Man of Steel" sequel. The announcement of the Superman/Batman team-up was first revealed at San Diego Comic Con earlier this year, and has since been the talk of DC fans everywhere, because they know that this is the first real step into the Justice League film that is bound to happen in the future. "Ben provides an interesting counterbalance to Henry's Superman. He has the acting chops to create a layered portrayal of a man who is older and wiser than Clark Kent and bears the scars of a seasoned crime fighter, but retain the charm that the world sees in billionaire Bruce Wayne. I can’t wait to work with him." 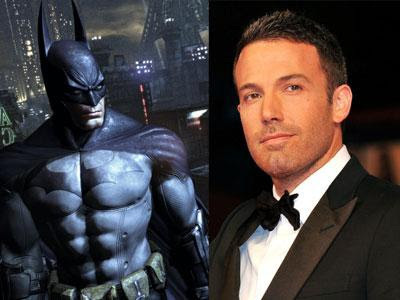 After Affleck's flop at Marvel's "Daredevil", it will be interesting to see how he can pull off the Caped Crusader. Many actors have been known to star as multiple super heroes with varied results. Chris Evans, for example, starred as Johnny Storm in "Fantastic Four", with less than satisfactory results, while just a few years later, starring as Captain America in "Captain America" and "Marvel's The Avengers" and making a brand new name for himself. Yet, Ryan Reynolds starred as Hal Jordan in "The Green Lantern", which was a box office flop, while at the same time being looked at for "Deadpool" in an upcoming film. Will Affleck be able to pull off the role so soon after Christian Bale's iconic role in Christopher Nolan's "The Dark Knight Trilogy"? "Man of Steel 2"is set to release on July 17th, 2015.